Liam Fox is a Tory MP. He was elected to Westminster in 1992 and was Secretary of State for Defence from 2010 to 2011. In the 2009 expenses scandal, he was found to have the largest over-claim on expenses and was forced to repay £22,476 . It was also reported in 2009 that Fox had claimed expenses of more than £19,000 over the previous four years for his mobile phone. He claimed the high bill was due to regular trips overseas, in his capacity as Shadow Defence Secretary and said he was looking for a cheaper tariff. In 2012, the Commons Speaker blocked the release of data showing which MPs were renting their homes to other MPs for financial gain. A study of parliamentary records was published and showed that Liam Fox to be in receipt of rental income from his London home while simultaneously claiming rental income from the taxpayer to live at another residence. In 2010, he was appointed Defence Secretary, a position from which he was forced to resign over allegations that he had given a close friend, Adam Werrity, inappropriate access to the MoD and allowed him to join official trips overseas. He has twice stood unsuccessfully for the leadership of the Conservative Party, in 2005 and 2016. In a damning assessment O’Donnell said that Fox was guilty of multiple breaches of the ministerial code by “blurring” the lines between his private and official responsibilities. Downing Street said that David Cameron had accepted the report, which recommended a tightening of the rules governing relations between ministers and civil servants. The public disclosure of MoD diary details about future visits overseas posed a degree of security risk not only to Dr Fox, but also to his accompanying official party. The risks of his association with Werritty were raised with Dr Fox by both his private office and the permanent secretary. In ignoring their concerns Dr Fox made an error of judgment that his contact with Mr Werritty would continue. Over the course of a year, Fox allowed Werritty to be present at 18 meetings on government business and alone representing Fox, at a meeting with Matthew Gould, (then the British ambassador designate to Israel). As a private citizen, with no official locus, it was inappropriate for Werritty to have attended any of these meetings. 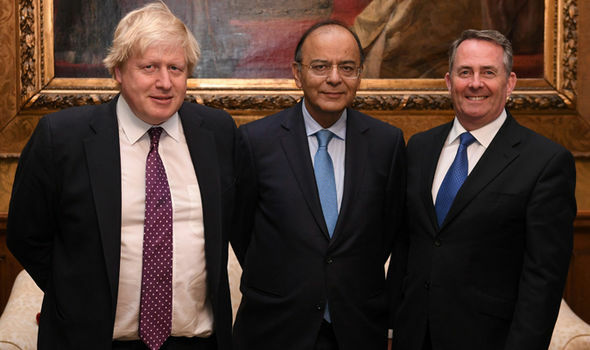 Fox, accompanied by Werritty, but without MoD officials, met with Harvey Boulter in Dubai, to discuss a defence contract, which was a breach of protocol. Fox arranged for Werritty to meet a donor from Pargav, the company that funded his trips exposing the links between Fox, Werritty and Pargav giving rise to the perception of a conflict of interest placing in doubt the probity of financial donations made by the company. Fox fuelled the impression that Werritty spoke for the British government through his “close and visible association” with his friend. Werrity was allowed to use “misleading business cards” printed with the parliamentary Portcullis describing himself as an adviser to Fox. O’Donnell, named prominent pro-Israel business figures who donated over £140k through Pargav to Fox/Werrity, funding Werritty’s jetset lifestyle of first class flights and five star hotels. Mick “the miner” Davis, the South African-born mining magnate known for his pro-Israel views, is boss of the FTSE 100-registered mining company Xstrata, with an annual salary of £21m he is one of the highest paid executives in the world. Davis donated £150k to the Tory Party in 2010/11 and gave £7,500 towards Michael Gove’s election campaign. A leading figure in the UK Jewish community Davis is chairman of the charity, ” The United Jewish Israel Appeal”. He also serves on the “Jewish Leadership Council”, a powerful body with representatives from community and religious groups. He has been chairman of the council’s executive committee since 2009. The father of Finnish born, Poju Zabludowicz built his fortune from the defence industry and retired to Israel. His son Poju, founded an investment company: “Tamares Real Estate”. The property developer is now a very rich man. He is the chairman, of the Israeli pressure group , “British Israel Communications and Research Centre” (BICOM). He maintains a close working relationship with Tory Party officials and met with the Foreign Secretary, William Hague to discuss the impact of the Arab spring on Israel. Donated £600,000. to the Conservative Party in advance of the 2010 general election. Petar, previously communications chief for BICOM, is now with Tetra Strategy, the lobbying firm that introduced a Dubai defence contractor to Werritty. An international investigation company run by former MI6 employees. Private equity tycoon Moulton, who owns the “Reader’s Digest” said that Pargav was “a not-for-profit” organization supporting the Middle East. A mysterious source of funds referred to only as “IRG Ltd”. Possibly, The “International Resources Group,” a US company owned by L-3 Communications denied any involvement. Or maybe the, “Iraq Research Group” said to be led by Stephen Crouch, former chairman of the Tory Party’s Camarthen West and South Pembrokeshire constituency. Simon Hart, MP for Camarthen West, said Crouch used to make frequent trips to Iraq and said it was understood locally that he had a background in the military or intelligence. “We always thought he was working for the programme rebuilding Iraq and that he was working for an American company,” Hart said. Hart also said Crouch once helped arrange a £5,000 donation to the local party from Tony Buckingham, an oil tycoon with interests in Kurdistan. More on this later in the post. Harriet Harman, deputy leader of the Labour Party, said that the internal inquiry was at odds with parliamentary protocol and demanded that the matter be referred to Sir Philip Mawer, the independent adviser on ministerial standards for an impartial investigation. Cameron, setting the agenda refused to budge on the issue. The row over Fox is “making it very difficult for Ministry of Defense staff to get on with their jobs supporting soldiers in Afghanistan”, said former Army officer, and Tory MP, Patrick Mercer. He went on to say that the defense secretary is running a department “under serious financial strictures”, and fighting military campaigns in Afghanistan and Libya. Adding: “The last thing that busy civil servants and busy uniformed staff need inside the MoD is this sort of distraction with their boss”. A staff intensive search of MoD records revealed that Werritty, had joined Fox, on 18 out of 48 trips abroad since he took up office in May 2010. Including visits to Singapore, Bahrain, Abu Dhabi, Dubai, Hong Kong, Israel, New Zealand, Australia, Qatar and Sri Lanka. Werritty also visited Tampa in Florida, where he dined with General John Allen, now head of NATO forces in Afghanistan. Fox rose to cheers from Tory backbenchers. They who accept a myth that he was one of the finest of all defence secretaries. He certainly gave us an aircraft carrier without aircraft, and arranged for armed forces members to be sacked while at war. In a carefully constructed personal statement to MPs, in the Commons he apologized for breaching the ministerial code over his friendship with Werritty but he was careful not to say directly that he had breached it. “The ministerial code has been found to be breached. For this I am sorry. I accept it is not only the substance but [also] perception that matters. That is why I chose to resign. I accept the consequences for me without bitterness or rancour. He then attacked the media for pursuing him with “vindictiveness, and hatred and hit out at Harvey Boulter, a Dubai-based businessman who confirmed a 45 minute meeting with Werrity and Fox, without an MoD official present, in Dubai’s five-star Shangri-La Hotel. After which Boulter had emailed a lawyer from 3M, a firm with which he was involved in a business dispute, to warn that new information had come to hand which if made public could result in a “rather embarrassing situation” over the recent knighthood awarded to the 3M head, George Buckley. Boulter had admitted the Buckley knighthood had not been raised at the Fox/Werrity meeting, but he had discussed it with Werritty beforehand. Fox said it was wrong of the press to report the allegations when Boulter was the defendant in a blackmail case. A number of Tory MPs, led by Desmond Swayne, the prime minister’s parliamentary private secretary (who hugged him) lined up to congratulate Fox after his statement. When a politician takes a poke at the modern media, as Liam Fox did in his personal resignation statement to MPs, there is always a danger that journalists immediately focus on the affront to their dignity and motives. Fox’s attack on the media (“some sections”) hounding of family and friends, together with the hatred he detected in some coverage, is not the most important aspect of the saga. It’s also likely to be half-true. The pack in full pursuit can be pretty ugly, though on this occasion it was chasing a legitimate target. It’s what the media are for, not rummaging through footballers’ tangled love lives. Not that you would have learned much from Fox’s statement. He started well, albeit without much concession to the faults found by the cabinet secretary as well as the media – in his conduct towards his department in relation to his chum, Adam Werritty. Nope. All he’d done was breach the ministerial code of conduct. Perception, as well as substance, matters, he conceded – a touch ungracious there. “And how,” someone might have heckled. But the Commons tradition is that personal statements – usually about wrongdoing, sometimes about reasons for a principled resignation, sometimes a mess like this one – are usually heard in silence. A good rule in life anywhere. It’s understandable that a man who loved his job, and had sat for 17 years on the frontbench waiting to get it, is angry and disappointed, a “deep personal disappointment”, he said, at losing it over what he clearly thinks is a bogus controversy. He managed to be gracious again towards the end, thanking friends, family, political colleagues – including David Cameron – as well as his Somerset constituents for their support. “You do not turn your back on friends and family in times of trouble”. But Fox also sounded like a man who still doesn’t quite get it. So many questions remain to be asked about what Werritty did on those foreign trips and why he did it. Did he think he was a latter-day Lord Palmerston? A James Bond or a George Smiley? A patriotic businessman? Or a smart hustler getting his bills paid by suckers? What about Israel? And Iran? What about lobbyists and financial backers who must have hoped to benefit at some stage? Not everyone is a noble patriot. And what about the role of senior civil servants? Should they have done more to alert No 10? Or were they too timid, worn down by decades of politicization, which started with Margaret Thatcher’s “is he one of us?” question and was carried forward by Tony Blair. Downing Street’s tactic of distancing itself from Fox (saying that he was operating on his own) has been exposed as a lie. The Tory party admitted that its senior treasurer was the conduit for donors to Liam Fox who passed their details to Werritty. Sir Howard Darryl Leigh, (granted a political peerage in 2013) is a British businessman and Tory Party politician. He serves on the “Jewish Leadership Council”, a powerful body with representatives from community and religious groups. He passed on the details of donors who wished to support Fox’s campaign during the 2005 Tory leadership contest. They were later persuaded by Fox to give money to organizations that supported Werritty, according to a source, and some of the money was spent visiting Fox on lavish trips abroad. The disclosure is an embarrassment for the Tories and will pose further difficult questions for Fox, who has been told that he faces another parliamentary inquiry into his behavior and Werritty. A Tory spokesman confirmed Leigh’s role in helping to introduce Fox to the donors whose recent support was used by Werritty to fly around the world to meet the former defence secretary. The spokesman told the Guardian: “Howard Leigh introduced donors to Liam Fox’s office during the 2005 leadership campaign. Leigh is the senior treasurer of the Tory Party and has met Werritty on a number of occasions, but does not regard him as a friend. A party source says the donors approached Leigh asking to donate money to Fox’s campaign, not that they were solicited by Leigh. The Tory spokesman declined to say which donors had been introduced to Fox by Leigh, and did not expand on whether they knew of how their money had been spent by Werritty. Another source said there had been no co-ordination between the Jewish donors to fund Werritty, though some had initially felt well-disposed to help Fox because of his pro-Israel position. Leigh chairs the elite Leaders’ Group, which has more than 70 members who pay up to £50,000 a year for the privilege of meetings with the Prime minister. Tory insiders say he has helped to bring in more than £2m a year through fundraising events, according to reports. He is also the managing director of “Cavendish Corporate Finance”, which helped Cameron’s wife, Samantha, collect a windfall following the £18m sale of “Smythson”, the stationery and leather goods emporium company where she was creative director. Leigh passed the donors over to Fox in 2005. At that time, Fox was the leading candidate of the party’s right in the leadership campaign against Cameron and David Davis. Tory sources claim Fox maintained contact with the donors and was responsible for passing them to Werritty, who then funnelled £150,000 to Pargav. Scotsman, Dunlop 52, was quietly recruited by Downing Street as the Prime Minister’s personal adviser on Scottish affairs, with a special remit to help defeat independence. He is a genuine greybeard in his 50’s, several years older than the Prime Minister. Dunlop who graduated in economics from Glasgow University has spent most of his working life south of the Border. He is a well-known right wing Thatcherite in the Conservative power structure. His CV includes spells working for George Younger and John Major, as well as the discredited and subsequently banned Atlantic Bridge charity run by Liam Fox’s friend Adam Werrity. He is also a councillor on Horsham District Council and lives in the exclusive commuter village of Partidge Green, on the edge of the South Downs National Park. By 1988, he graduated to Mrs Thatcher’s inner circle as one of the seven members of her “policy unit”, specialising in defence, employment, tax reform and Scotland. In that capacity, he played a key role in discussions over the introduction of the hated Poll Tax in Scotland in 1989 – a year earlier than the rest of Britain. After leaving No 10 Downing Street, he became the founding member and managing director of top lobbying firm Politics International. Yesterday SNP MSP Stuart Maxwell said: “Questions must be asked on what role a young Mr Dunlop – a policy adviser to Thatcher in tax reform and Scotland in the late Eighties – had in the implementation of the Poll Tax in Scotland. A return for Liam Fox as he steps back into the harsh glare of public debate with words on Europe to cheer the Tory right. All seems clear ahead. And yet he cannot quite leave what’s behind behind. For there is a epilogue to the saga of the Atlantic Bridge, the faux charity he chaired. It was wound up last year after complaints to the Charity Commission that its business was not charity but politics. The Trustees were Professor Patrick Minford, of Conservative Way Forward, Lord Astor of Hever and the Tory lobbyist Andrew Dunlop. Forgive them, said the commission; they didn’t know the law governing their responsibilities. And with the release of a supplementary report, we have a better sense of one of the factors the commission had to consider in deciding what to do about the misapplication of charitable funds and the possible recovery of those funds from the trustees themselves. For “such proceedings can only be brought with the consent of the attorney general”. No evidence of bad faith was found, the commission makes clear, so perhaps the issue is moot. But it would have been fascinating to see what Dominic Grieve would have done, had the hot potato of Tory charitable shenanigans reached his desk. When scholars come to write the history of Scotland’s 2014 independence campaign they may conclude the United Kingdom was saved by an opinion poll. It was the startling lead for a referendum Yes vote reported by YouGov on the evening of September 6 that finally shattered the complacency of UK political elite that had previously failed to realise the 307-year-old union between England and Scotland was really at risk. The extraordinary story of how the dream of Scottish independence – long nurtured by a third or fewer Scots – suddenly turned into an existential threat to one of the world’s premier powers is a lesson for leaders everywhere of the danger of taking voters for granted. And while the No campaign eventually won by a margin of 55 to 45 per cent, the panic that engulfed the Westminster elite as polling day approached laid bare the fragility of the union and raised searching questions about the way mainstream politicians dealt with the threat. It is a mark of how overconfident pro-union UK politicians were about the possibility Scots might vote for independence that many initially welcomed the prospect of a referendum. Thursday’s vote had its roots in the Scottish National party’s stunning success on May 5 2011, when it won a majority of seats in Scotland’s devolved parliament. During its previous minority administration, the SNP under Alex Salmond, first minister, had put independence on a backburner. Now opponents thought Salmond, long a proponent of gradual progress toward independence, would be forced into a referendum before he was ready – and would suffer a defeat that would drain the SNP of its raison d’être. The next day, David Cameron, UK prime minister, immediately conceded that Scotland should be granted an independence referendum if the Scottish government wanted it. It was a decision some colleagues would later bitterly criticise. Other states such as Spain have been much less accommodating towards secession demands. But other UK prime ministers including the late Margaret Thatcher had previously accepted that Scotland, an independent nation until its parliament voted to unify with England’s in 1707, would have the right to leave the UK if it opted democratically to do so. For a long time, the threat to the UK unity seemed small. The 2011 SNP victory was followed by an 18-month phoney war dominated by argument over the referendum process. Cameron and his allies were exasperated by what they saw as quibbling over details. They wanted a clear and straight forward Yes-No vote on independence, fearing that allowing a third question on greater devolution within the UK – which polls made clear would be the most popular option among Scots – would allow Salmond to claim victory even if independence was rejected. To secure a single question referendum, Cameron gave in on a series of other points, including on the framing of the question. This allowed Mr Salmond to campaign for a Yes vote. Perhaps most importantly, Cameron also allowed the Scottish government to decide the timing of the vote. Eventually set for September 18 2014, this gave the SNP plenty of time to build its case. As recently as the summer, senior No campaigners were more concerned about the size of the victory than the fact of it. “We need to get 60 per cent if we are to avoid a neverendum,” said one campaign insider several weeks before the vote, referring to the possibility of another ballot being called within years or even months in the event of a close result. All this time a broad Yes movement was developing, reaching far beyond traditional SNP support. At first it seemed to have little impact. The official pro-union Better Together campaign pummelled the SNP over the uncertainties of independence. The party’s 667-page vision for an independent nation, published in November 2013 and including promises of better childcare, lower taxes and more generous social security, brought no immediate boost to nationalist support. In early 2014, the No camp lead started to narrow. So pro-union politicians prepared what they hoped would be a fatal blow to Salmond’s plans. Many who were in the conference room in Edinburgh where Osborne on February 13 ruled out a post-independence currency union thought that a killer blow was exactly what had been delivered. Speaking in front of a plate-glass window looking out at Edinburgh’s Castle Rock, the UK chancellor targeted the biggest weakness in the SNP’s economic case – its claim Scotland would continue to use the pound as it does now, a promise dependent on London’s consent. Osborne was backed by the leaders of all three main UK parties – and given unprecedented public support by Sir Nicholas Macpherson, the Treasury’s top civil servant. The assault, delivered by a Conservative chancellor deeply unpopular in Scotland, had mixed results. The SNP dismissed it as bullying and bluff – and polls showed many voters in Scotland agreed. But Osborne insists he was right and that this week’s No vote vindicated his strategy of highlighting the risks of independence. “It’s a No campaign, so of course it’s going to be negative,” the chancellor has said. Meanwhile the Yes campaign was developing into a grassroots movement far more energetic and organic than Better Together could muster. SNP strategists were building on the databases and tactics that had delivered the 2011 landslide. Their strategy aimed to first persuade voters that Scotland could be independent, next that it should be, and finally that it must be. Still, Westminster was untroubled. Two months ago, Cameron had dinner with a close friend from the corporate world, according to one senior business figure. Of all the things in his prime ministerial in-tray, the business figure recalls Cameron saying, Scotland was “the least of his worries”. Cameron and Osborne departed for their summer holidays in August in confident mood. Osborne was heard to remark breezily to colleagues that he would “take 60-40” as a final result. Polling advice provided by Populus suggested the No lead was solid and backed up Osborne’s conviction that Better Together’s focus on the drawbacks of independence rather than the benefits of union was working to stop wavering voters following their emotions and voting Yes. But public opinion was turning toward Yes. Some credited Salmond’s strong performance in a second televised debate against Alistair Darling, former UK chancellor and Better Together leader. There he warded off challenges on currency and scathingly portrayed Darling as being “in bed with the Tories”, and the National Health Service as under threat from continued union. By the weekend of September 6-7 there was panic inside Number 10, while Cameron was obliged to leave London with a knot in his stomach to stay with the Queen at Balmoral. Alexander and Danny Alexander – the Treasury minister overseeing the Lib Dem campaign – reported that the momentum to Yes might become unstoppable. That fateful YouGov poll put the Yes side ahead. “We knew a poll was coming which would give the Yes side a lead – it turned out to be YouGov in the Sunday Times. We were at a point where we had to reframe the campaign,” Douglas Alexander said later. Cameron himself turned up the heat on business leaders to intervene in the debate, hosting a reception on September 8 in Downing St. “He left us in no doubt we should speak out,” said one chief executive who attended. The prime minister was also hitting the phones. “Those phone calls can be very persuasive,” said one business figure familiar with the operation. The result was a wave of business opposition to independence, with companies such as Aviva and Prudential coming out to bat on the prime minister’s behalf, although a few – including J Sainsbury, National Grid and Tesco – could not be persuaded. On the Thursday before the referendum five Scottish-based banks said they would move their registered headquarters south if there was a Yes vote. But the orchestrated campaign also risked fuelling Scottish resentment of Westminster. Salmond loudly protested against Downing St “scaremongering” and blamed a hostile BBC for playing along. The fightback also had a new public face: Gordon Brown. The former Labour prime minister had been on the fringes of the No campaign for months, but his refusal to work with the Tories and tense relations with Darling, his former chancellor, meant that he often operated alone. Now he was brought centre stage, making the “positive case” for a No vote: promising a swift transfer of new powers to the Scottish parliament to demonstrate to wavering Labour voters that a No vote did not mean “no change”. The combination of economic scare stories and promises of future power seemed to work, while it proved harder than independence campaigners had hoped to mobilise the disaffected urban population.